Reliable, affordable, and loaded with essential features. A dependable and affordable 19.5” monitor with essential features that meet everyday office demands. 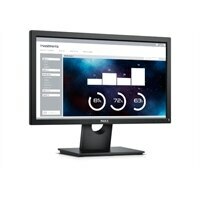 Essential features: HD quality display at multiple angles with VESA-mount compatibility and tilt options, as well as VGA and DisplayPort connectivity.